The Kelly Blue Book Best Resale Value Awards recently revealed the 2018 Jeep Wrangler came out on top as the Best Compact SUV/Crossover, while the 2018 Wrangler Unlimited also won as Best Mid-Size SUV/Crossover. According to Kelly Blue Book, these two vehicles will have the highest projected resale values after an average of five years on the road. The 2018 Jeep Wrangler value is expected to remain highest in its class with a resale value of 60.3 percent at 36 months and 50.0 percent at 60 months. The 2018 Wrangler Unlimited has an even higher value in the midsize SUV category at 70.1 percent at 36 months and 58.1 percent at 60 months. AAA recently performed a study, Your Driving Costs, that revealed the largest expense accompanying the purchase of a new car is depreciation. 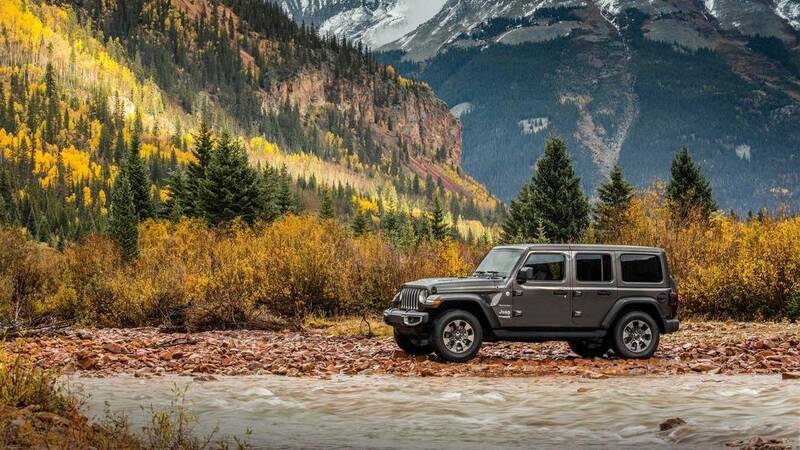 With the Jeep Wrangler, you won’t have to worry because not only will you be saving money over time, but you will be receiving a top-of-the-line off-road SUV with state-of-the-art technology and capabilities. To test drive all 2018 Jeep models and for more information, visit any Chapman dealership in the valley and experience why Jeep has the strongest brand loyalty amongst drivers. Chapman Dodge Chrysler Jeep Ram, at 3175 E. Sahara Ave., sells and services new and used vehicles. Chapman Chrysler Jeep sells and services the complete line of Chrysler and Jeep vehicles from its location at Valley Automall in Henderson. Chapman Ram Truck Center, 3470 Boulder Highway, is the only dedicated Ram Truck dealer in Southern Nevada and sells and services new and used vehicles. Chapman Warm Springs, 1100 W. Warm Springs Road, sells and services vehicles chosen from Chapman’s 26 Southwest locations. All dealerships are open for sales from 8 a.m. to 9 p.m. Monday through Saturday.